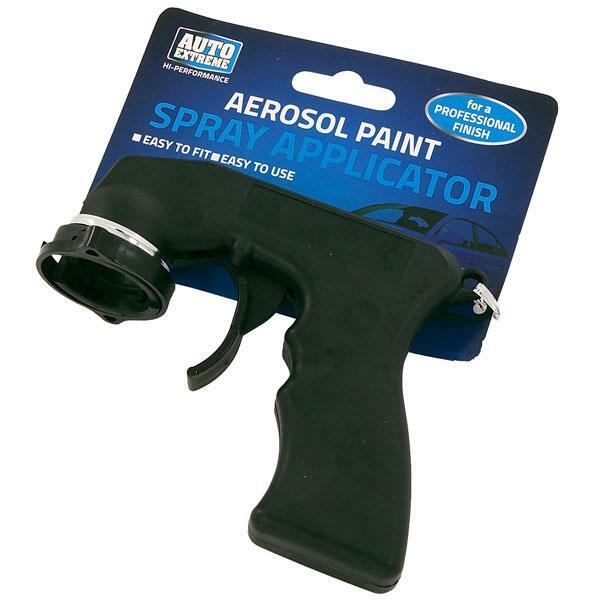 Spray Applicator, For a Professional Finish, Easy to fit and easy to use. Place on top of the aerosol making sure that the aerosol nozzle is central to the aperture of the applicator, then twist the locking catch to secure. Pull the trigger to apply the paint. Always follow the manufacturer’s instructions on the spray paint can.